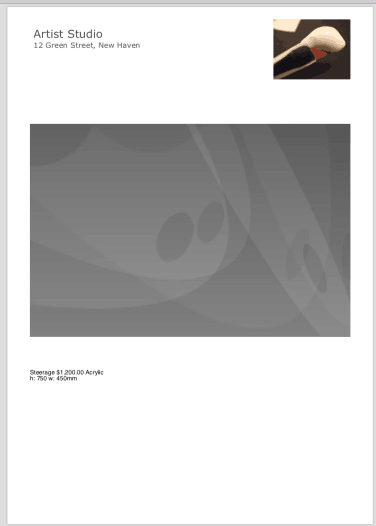 Highlighting Tessera features most suitable for use by an artist. All of these features are available to artists, collectors, cataloguers and galleries alike. 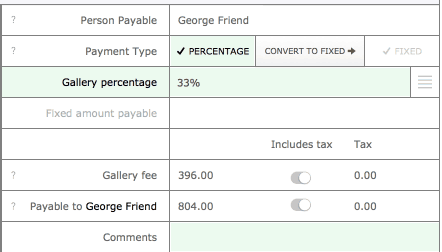 Enter the gallery percentage or a whole amount amount if that’s how you’re paid by your gallery and keep track of tax amounts payable. Be precise on how tax is applied to your artworks. 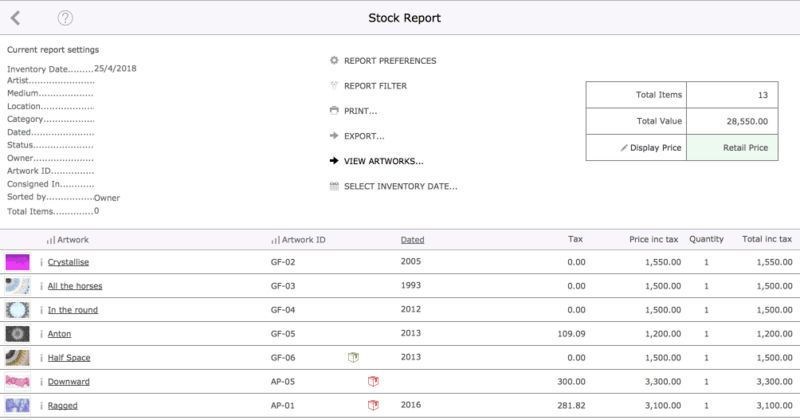 Specify an inventory price to give you accurate reports on the value of your artworks. 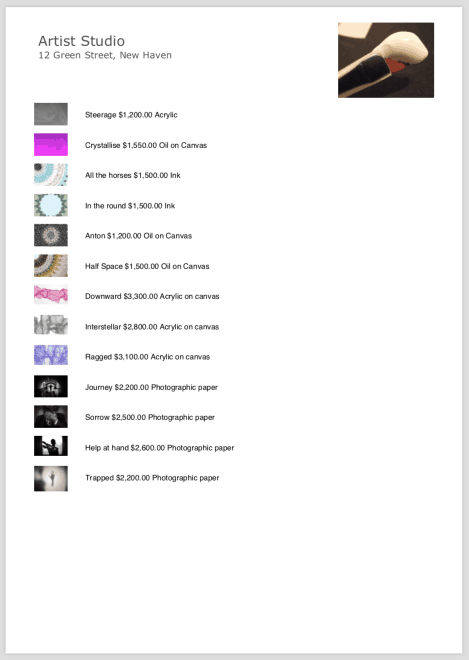 Keep track of expenses incurred against an artwork. 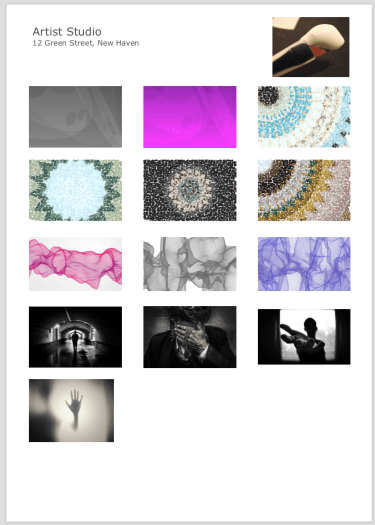 Record the production steps in creating an artwork. Display retail price in a foreign currency. 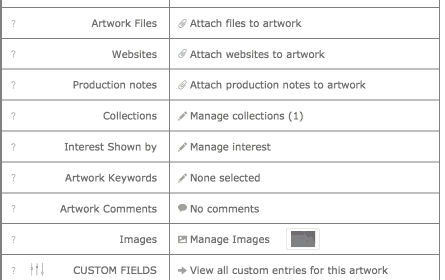 Attach any number of files such as contracts or letters to an artwork, link relevant websites, keep a record of clients who’ve expressed an interest in an artwork and add any number of images and videos. Prodce sales reports on any date range and filter the report by category and other criteria.